Romiosini describes the feelings of oppression and suffering in a country under foreign occupation. 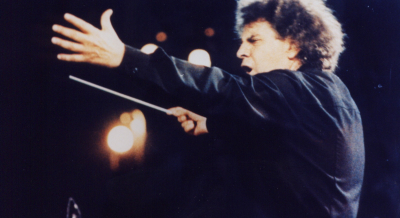 Consisting of nine songs, Mikis Theodorakis set the poetry of Yannis Ritsos to music of power and supplication. ‘When They Squeeze the Hand' is the best-known example of this. International Artist, Dimitris Basis has a special personal relationship with Mikis Theodorakis and it is his request for us to present the masterpiece that is Romiosini. In the last few years, the Sydney Greek Festival has also presented the outstanding popular songs composed by Mikis Theodorakis, Greece’s most popular composer. This concert champion’s works have previously not performed in Perth. It is a huge pleasure to present these songs with some of Australia’s best orchestral musicians. Duration: approximately 2 hours, including an interval.